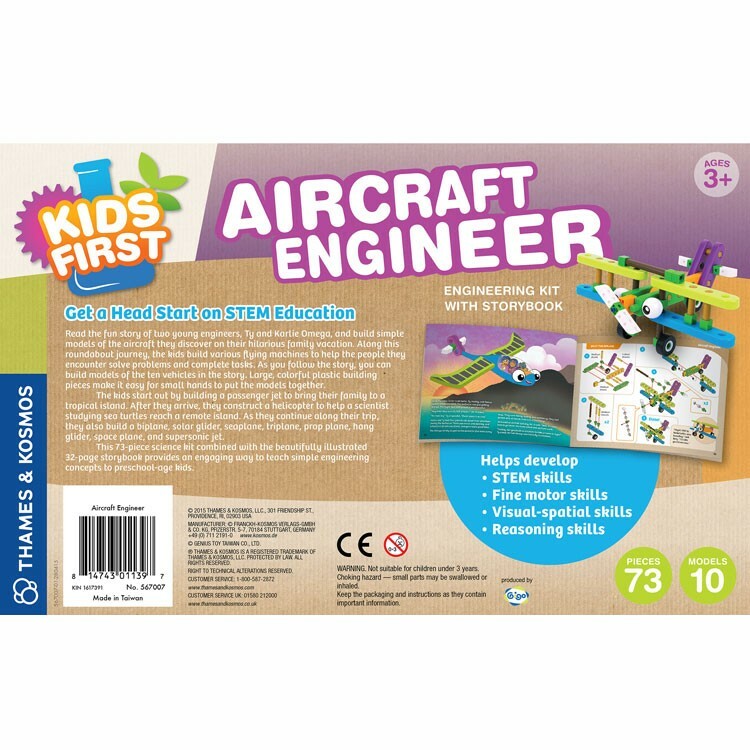 This 71 pc plane and flying vehicle construction kit with the illustrated storybook provides an engaging toy to teach STEM related skills to the preschoolers. 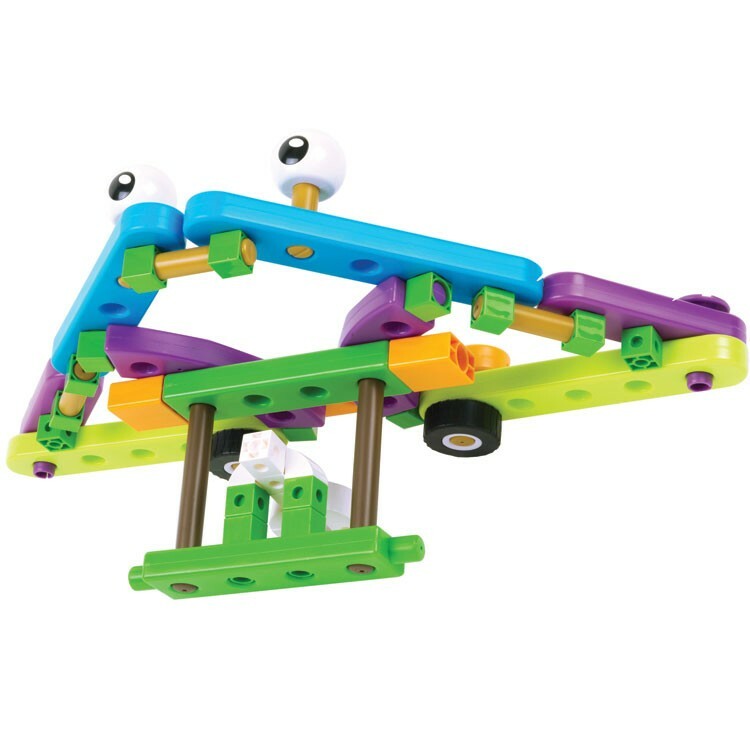 Wahoo to the fun way introduction of engineering and science to preschoolers! 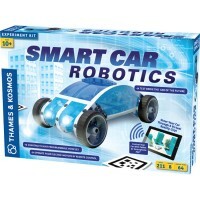 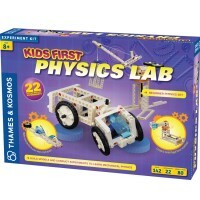 Thames & Kosmos, the award winning German science kits manufacturer, designed a new educational toy line - Kids First - to inspire the youngest scientists to build, learn and play. 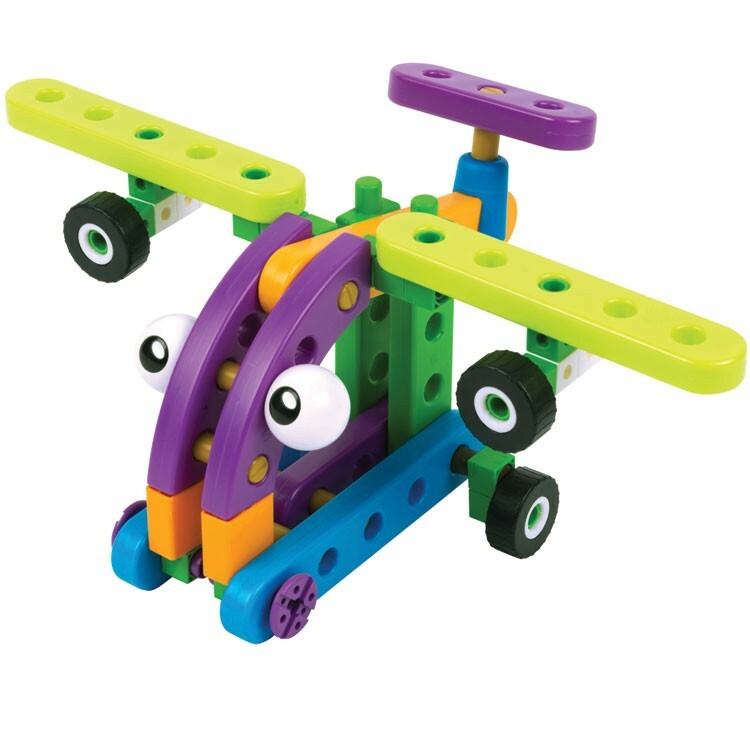 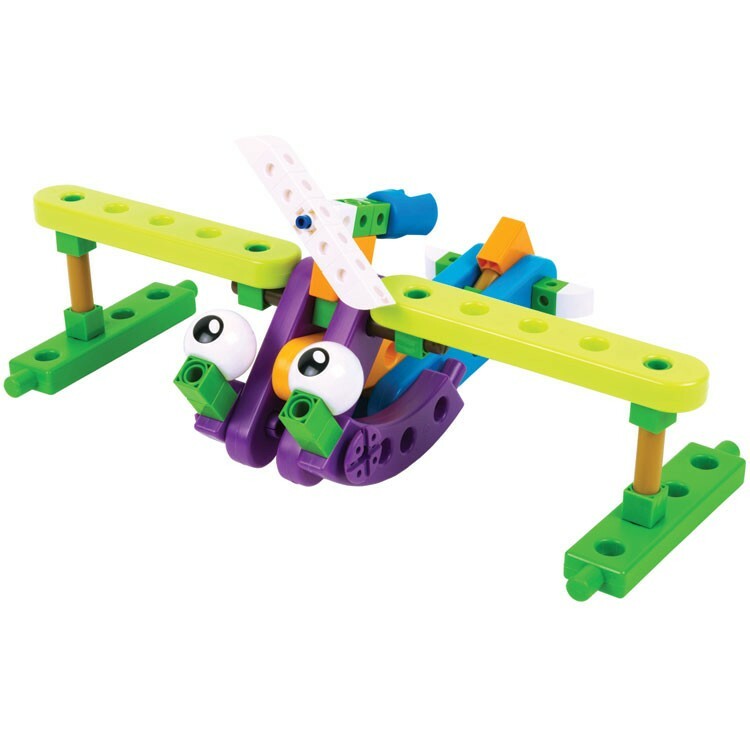 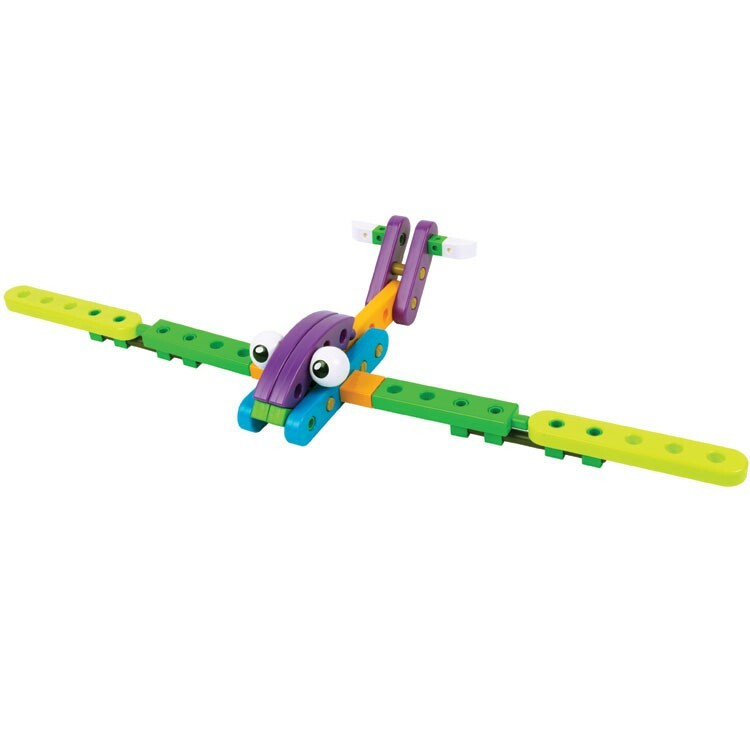 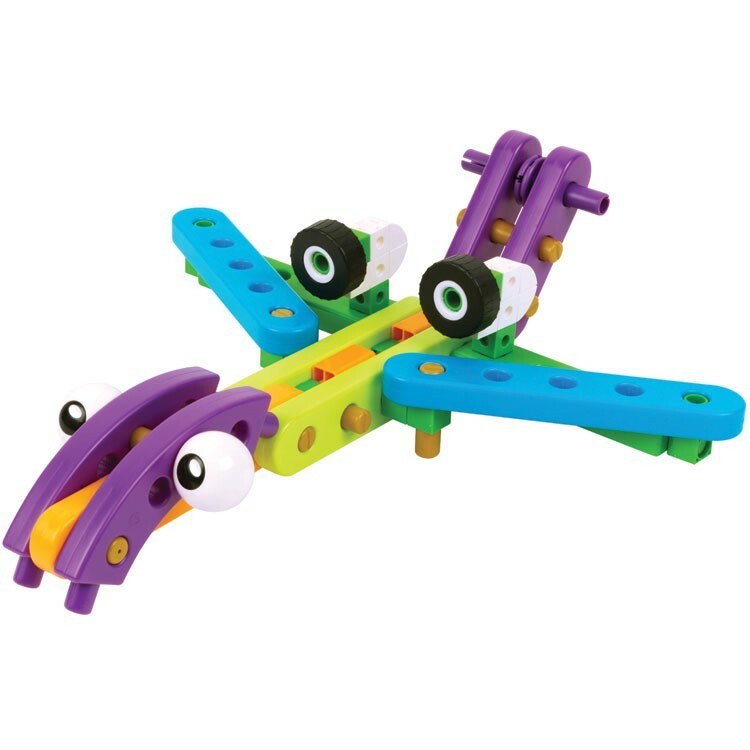 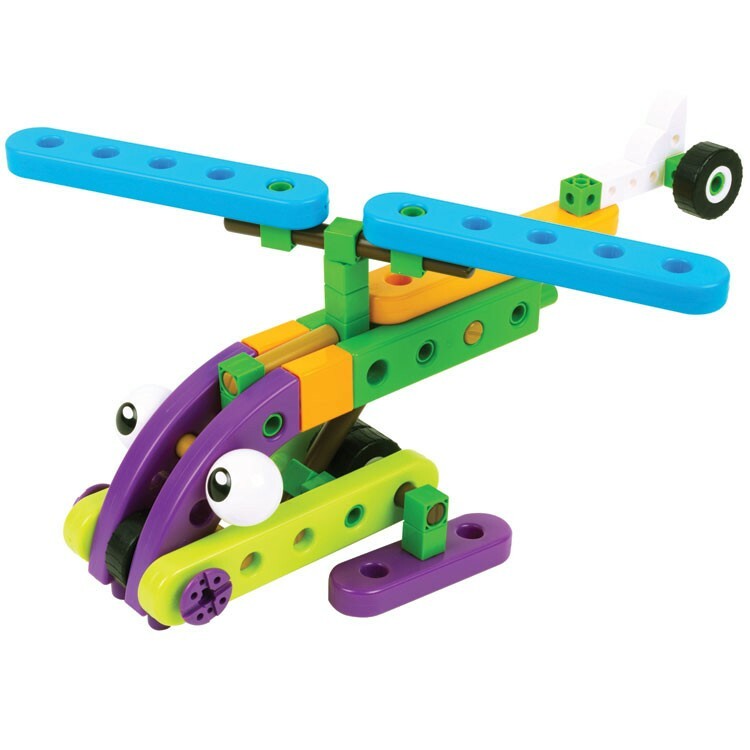 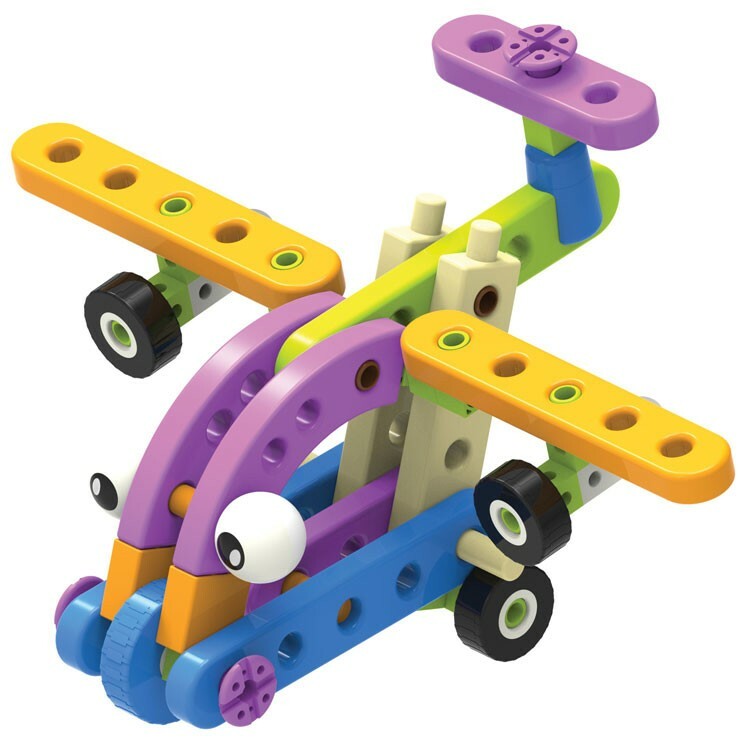 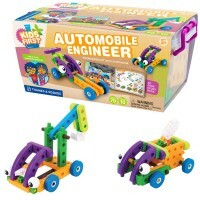 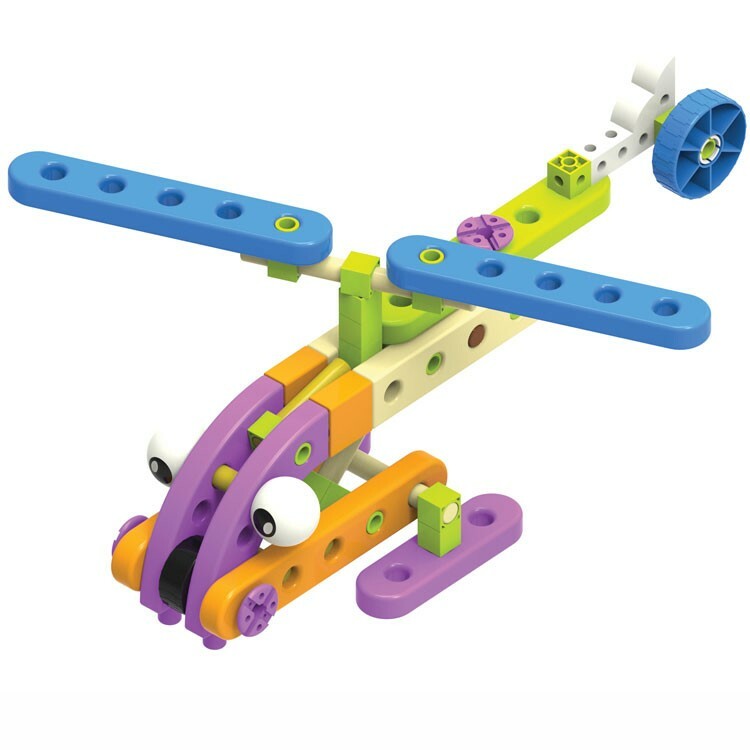 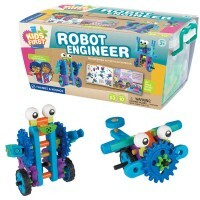 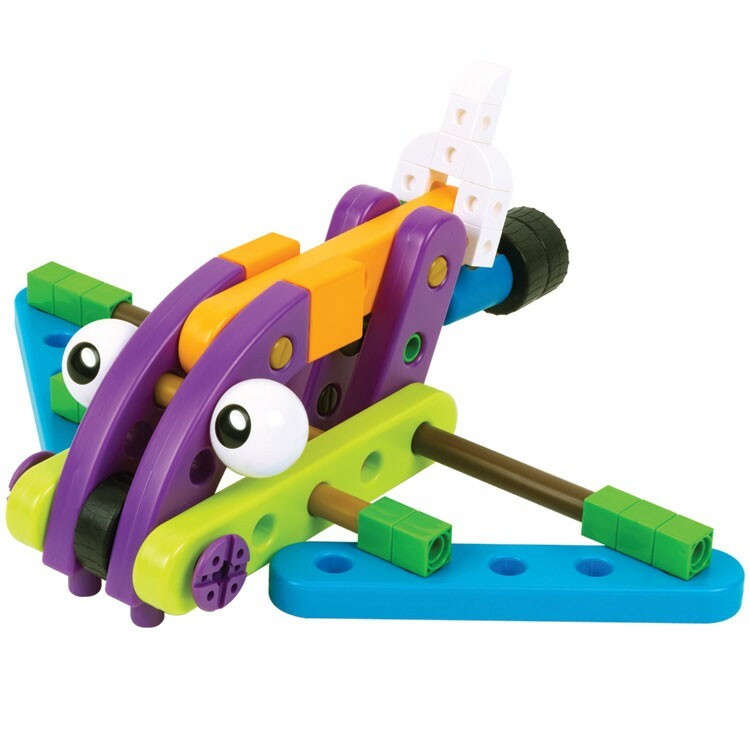 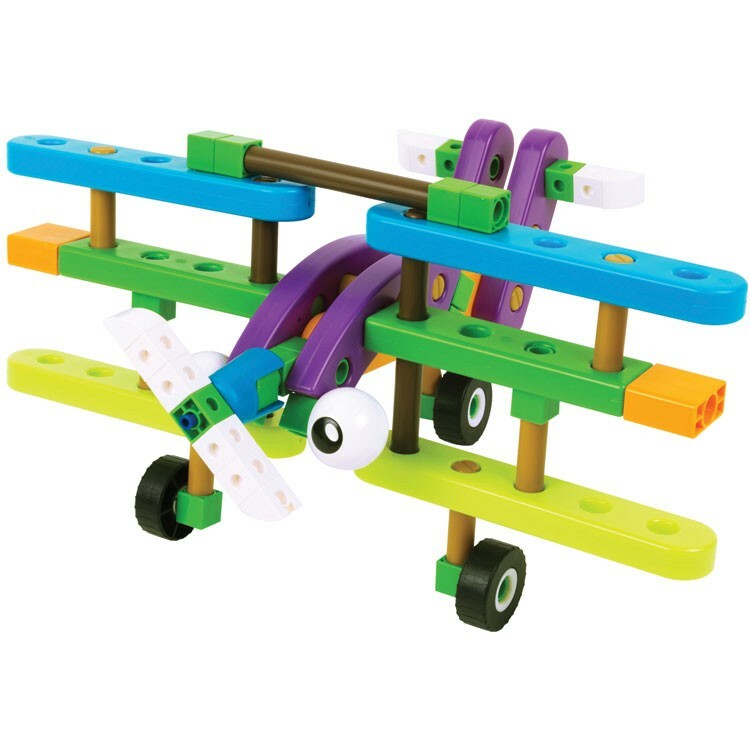 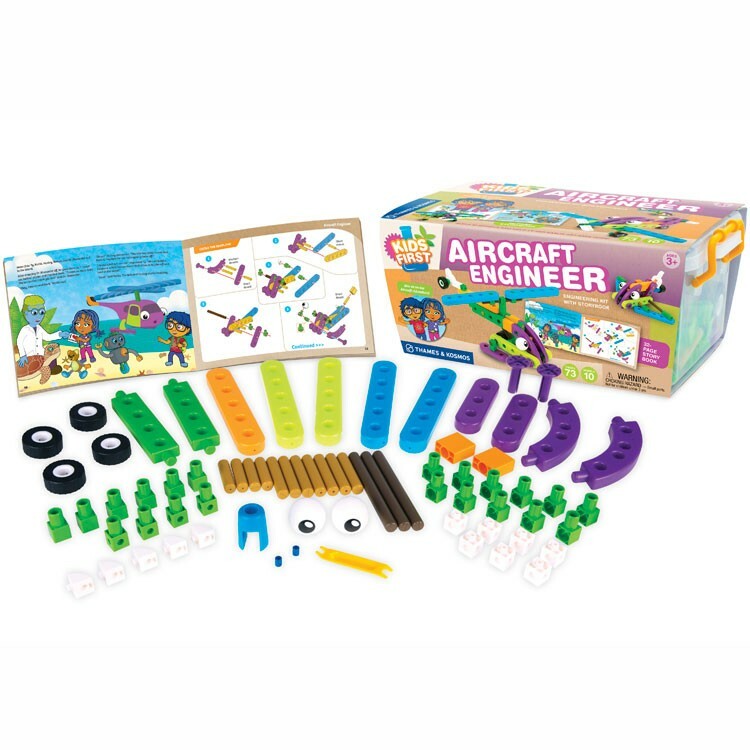 Kids First Aircraft Engineer Science Kit from this beginner scientist toy line comes with 71 pieces to construct large colorful flying vehicle models and learn principles of mechanics and engineering. 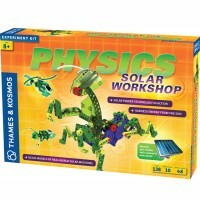 This preschool kids science kit features a 24-page full color illustrated booklet. 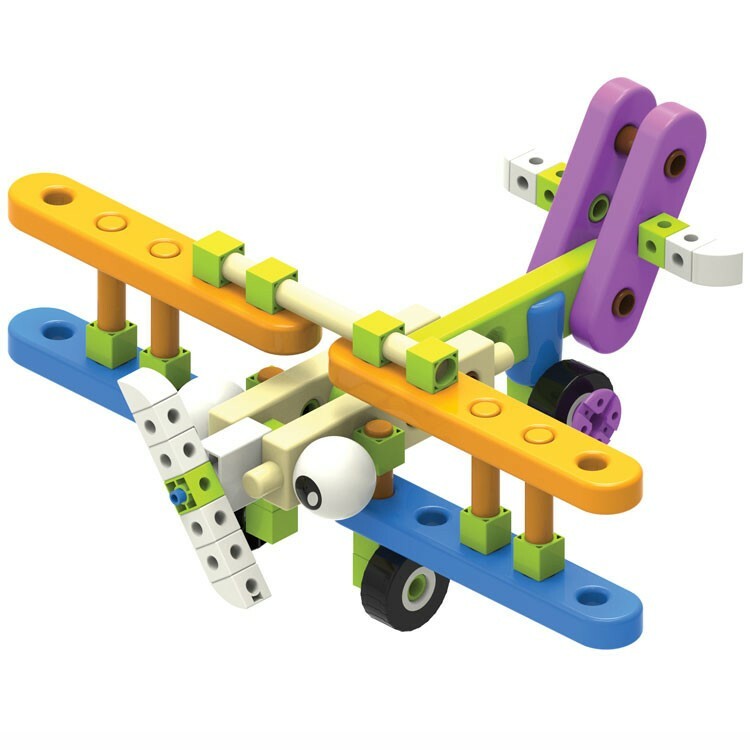 Read the comical story about two curious kids' trip to the tropical island, flying machines they saw, and problems they had to solve on the way. 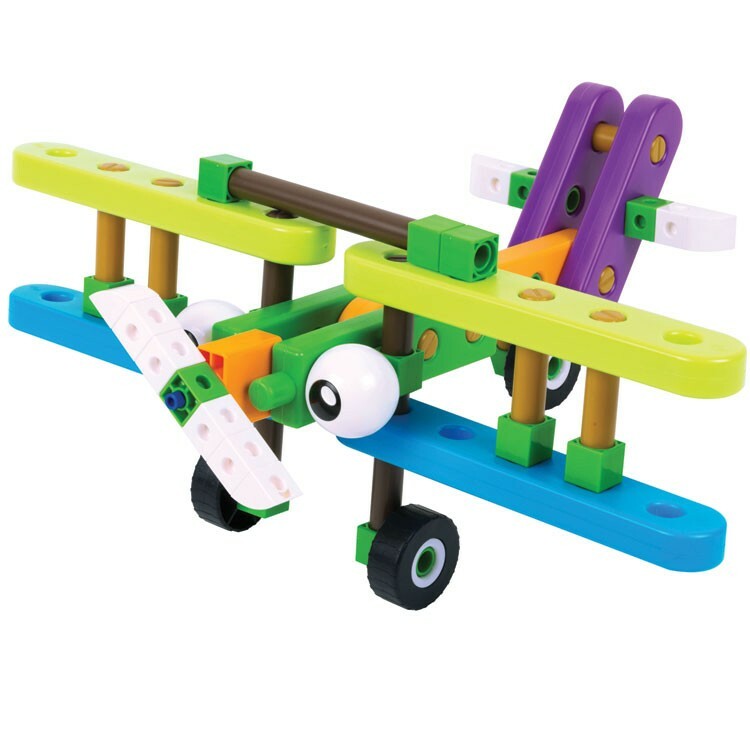 Follow the amusing story as you build the simple plane and other vehicle models that are described in this story. 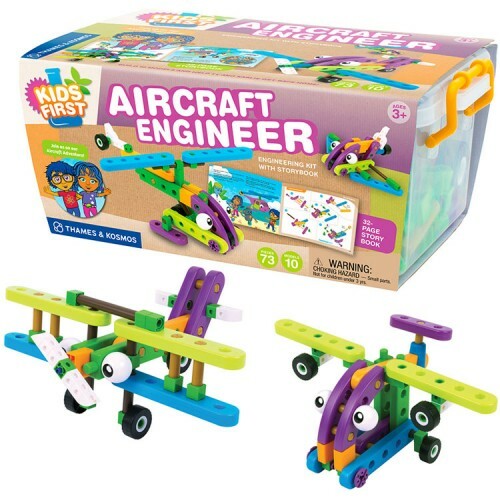 All the building pieces from the Kids First Aircraft Engineer Science Kit are sized perfectly for the little hands that make model construction easy for the preschool builders. Build a jet planet that brings the family to the island, a helicopter that the local scientists use to study animals, and other vehicles that your child will happily construct and play with. 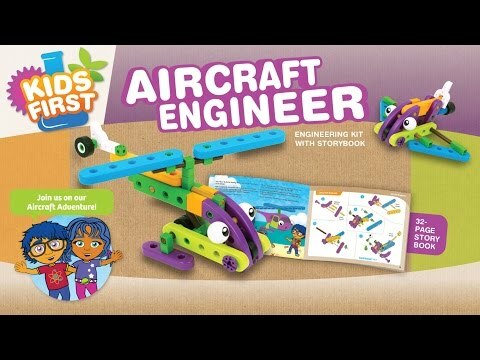 This kids first build & play science toy includes instructions to erect kids own seaplane, space shuttle, hand glider, supersonic jet, biplane, and more as the kids turn the pages of the funny storybook. 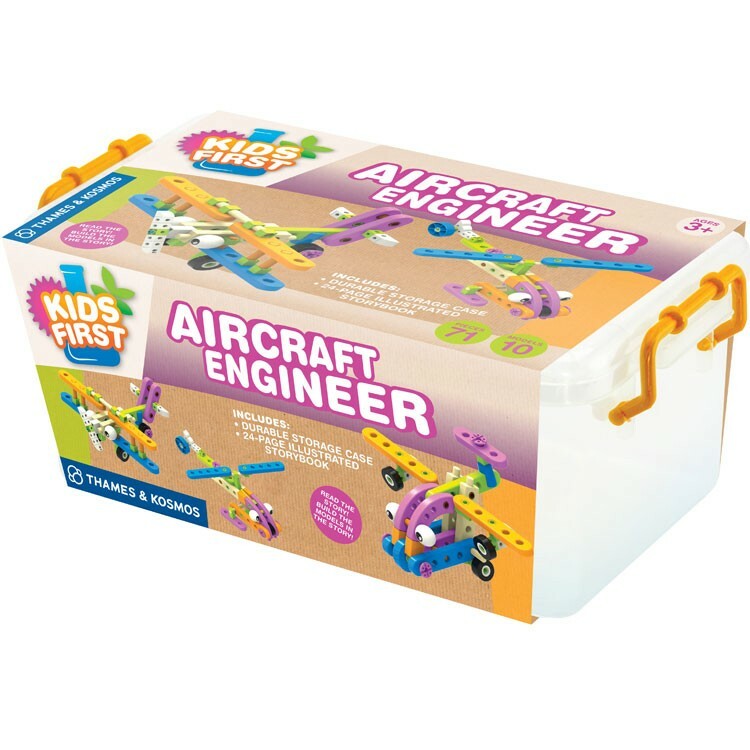 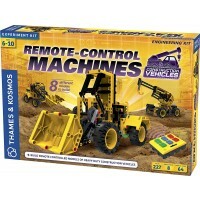 This Educational Toys Planet's preschool construction set comes in a durable storage case with carrying handles. 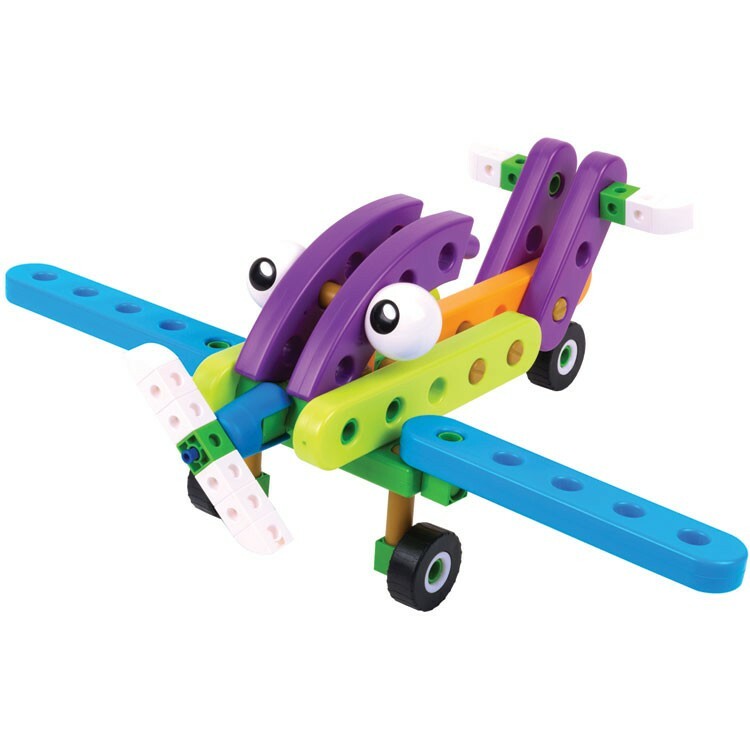 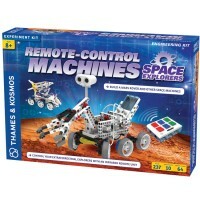 This flying vehicle building set is a super fun and super educational science kit for preschool learners. 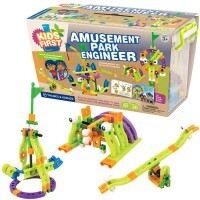 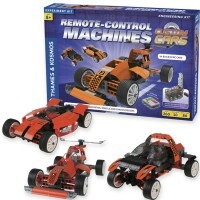 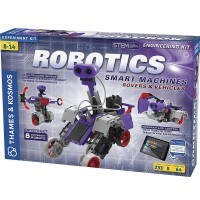 Dimensions of package 6.3" x 14.7" x 9.4"
Write your own review of Kids First Aircraft Engineer Science Kit.